This back aches and pain relieving post is sponsored by LivRelief. All opinions are 100% my own and may differ from yours. I will only endorse companies, products and services that I believe, based on my own experiences, are worthy of endorsement. 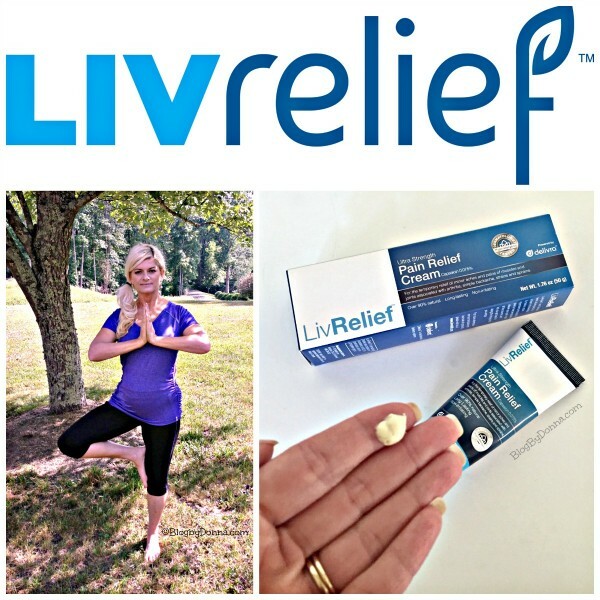 A few weeks ago I shared how I had been suffering from back pain and how I was using LivRelief. I am still using it, although I’ve not had to use it often (not sure if that’s because of LivRelief). And now my husband is also a believer. He started working out again recently and you know how it is when you first start back lifting weights… yeah, he overdid it. I told him to use LivRelief and he was pleasantly surprised. He hates the odor of most topical pain treatments and was impressed that LivRelief was odorless. The biggest thing of course, is that it worked and worked fast. You can’t ask for more than that. When you buy LivRelief now you will receive $2 off your purchase when you use promo code ONU56TLN during checkout on Amazon.com. Coupon expires 11/1/16 at 11:59PM PT. I am not a doctor and don’t pretend to play one on the internet. If you have any health concerns please consult a health professional.